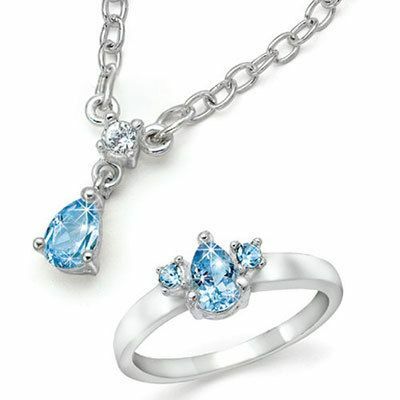 This Blue Topaz Jewelry Set features genuine blue topaz gemstones accented by clear faceted crystals and set in classic silver-tone metal. .50 CTW topaz. Open-link Chain, 18"l; Ring, sizes 6-10. Hurry! Quantities are limited!